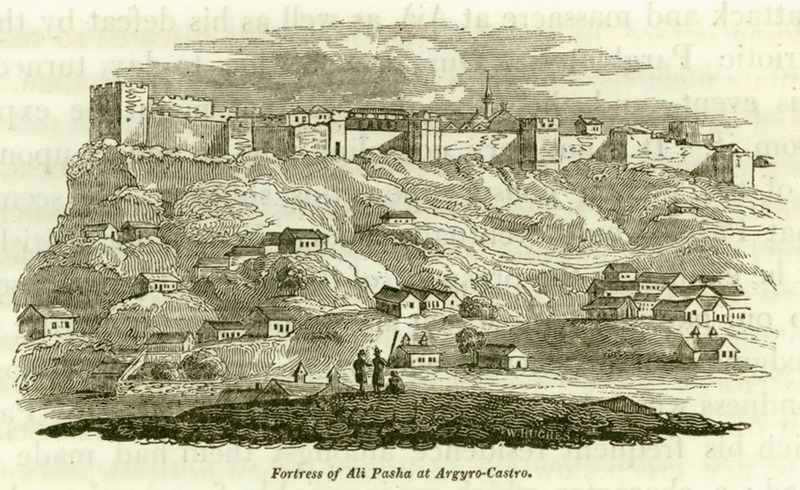 Fortress of Ali Pasha at Argyro-Castro. HUGHES, Thomas Smart. Travels in Sicily Greece and Albania…, Illustrated with Engravings of Maps, Scenery, Plans…, vols I-II, London, J. Mawman, 1820.